With the LG G2 launch coming soon, how does it stack up against the Samsung flagship, the Galaxy S4? We’re more than one month deep in the second half of the year, and as such, a new batch of flagship smartphones is getting ready to hit the market. LG has picked up the slack and recently announced, in New York, the upcoming LG G2. The handset in question not only packs the latest mobile hardware components currently available; it also represents the company’s first steps into a new era. 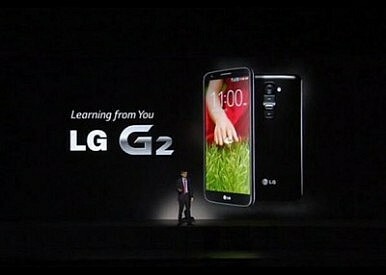 As you may have already noticed, the “Optimus” moniker has been dropped and the device is simply known as the “LG G2.” Additionally, the G2 promotes a rather unique design language. Only time will tell just how successful that will be. More on that later, but for now, let’s compare this brand new LG handset with Samsung’s finest smartphone – the Galaxy S4 and its variants. After all, both LG and Samsung are two of South Korea’s largest consumer electronics companies and smartphone manufacturers. The competition has been fierce and that is unlikely to change. It’s expected from the LG G2 to be a more powerful device than the Samsung Galaxy S4. After all, the G2 is roughly half of year “younger” than its competitor. Nevertheless, the gap between the two is not that large, and as such, there are also many similarities between these handsets. Many of you may know that the SGS4 launched, initially, in two main variants. One of them – and the most common – is the Snapdragon 600 and Adreno320-powered S4. The other model draws its processing power from Samsung’s Exynos 5 Octa CPU and a PowerVR SGX 544MP3 GPU. Regardless, the LG G2 is still the more powerful device from the bunch. The handset in question features a Snapdragon 800 quad-core processor clocked at 2.26 GHz, which is coupled with an Adreno 330 graphics chip. There are 2 GB of RAM on-board, as well as 16 or 32 GB of storage. While the SGS4 offers the same amount of RAM, it does come with more storage options than the G2 (16 / 32 / 64 GB) as well as a microSD card slot which the G2 lacks. That said, the third and final S4 variant, the one which comes closest to the G2 as far as internal specs go, is the SGS4 LTE-A. The aforementioned S4 model features a quad-core Snapdragon 800 chipset and an Adreno 330 GPU. Moving on to the display, LG has raised the bar slightly by fitting a 5.2 inch IPS + LCD display on the G2. In contrast, the S4 packs a slightly smaller 5.0 inch Super AMOLED panel. Aside from the 0.2 inch discrepancy, the resolution remains the same on both handsets (1080 x 1920). In the media department, the on-paper specs are quite similar. Both the G2 and the S4 pack 13 MP main cameras, but the LG handset features a 2.1 MP secondary sensor instead of a 2 MP one. Nevertheless, it’s difficult to form a clear opinion before the G2′s camera will be tested and reviewed. Last but not least, the LG beast is being powered by a 3,000 mAh battery, whereas the S4 draws its energy from a smaller 2,600 mAh unit. One extra point for the G2! When it comes to what software makes these two handsets tick, both gadgets actually share the same core. Both the LG G2 and the S4 are powered by Android 4.2.2 Jelly Bean. However, both companies are well-known for layering their own UIs on top of Android. Love it or hate it, this means that both handsets offer a slew of extra “in-house” created features, at the cost of altering the vanilla OS experience. We’ve already talked at length about S4′s various TouchWiz features, so today we’ll focus more on LG’s flagship. It’s still a bit too early to explore all of G2′s software goodies, but what has been revealed so far seems to be quite useful, on the most part. For starters, the G2 features something called “Guest Mode.” As you may have guessed from its name, this feature will allow users to create multiple profiles that can be selected from the lock screen by assigning different unlock patterns to each one. In terms of multitasking, the G2 features what LG calls “Slide Aside.” It allows the user to run three apps at the same time and switch between them by performing a gesture with three fingers. “Knock Knock” is another interesting feature. It gives the option of locking and unlocking the phone by simply double-tapping the display. This actually brings us to the handset’s design. You may have seen previous leaked photos of the G2 and, if so, then you may already be aware of the button configuration of the device. If not, then the short story is that the G2 features an unconventional key layout. The power button is flanked by the volume keys, with the entire setup being fitted on the back panel, beneath the main camera. Evidently, the aforementioned “Knock Knock” software feature will come in handy considering this button layout. It can be viewed as a necessity more than anything else. On the other side of the fence, we haven’t forgotten about the Samsung Galaxy S4, but in all honesty, there’s not a lot to talk about as far as the design language goes. The S4 delivers a very conservative look, already well known to nearly all of us. LG on the other hand, seems to be willing to take some risks. Nonetheless, only time will tell if these risks will pay off or hurt the company. As usual, don’t hesitate to discuss on this topic below. What are your thoughts on the G2 and how do you think it compares to the S4? LG G3 Rumor RoundupLG G2 Pro: Latest News and RumorsSony i1 Honami: What You Need to KnowThe Future: Samsung Galaxy S4 vs Samsung Galaxy Note 3Motorola X Phone: iPhone 5 and Samsung Galaxy S4 Killer?